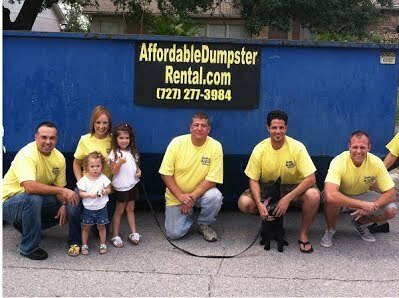 Affordable Dumpster Rental of Clearwater and St. Pete (727) 277-3984, Starting at $199! Welcome! 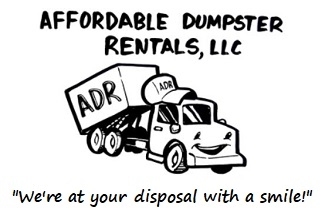 Looking for Dumpster Rental Prices in St Pete / Clearwater ? We are here for your Dumpster Rental needs! Proud to Serve St Petersburg, Clearwater & Surrounding Areas! Welcome! Rent a Dumpster, we are here for your Dumpster Rental needs in St Petersburg! Welcome! Serving Clearwater FL for your Dumpster Rental needs! Affordable Dumpster Rental provides low-cost Residential and Commercial Roll off Dumpsters and Dumpster Bins starting at $199. We’re Clearwater / St Pete's premier dumpster rental service to call today for rates and services. Our Clearwater / St Petersburg Florida Roll-off Dumpster Rentals includes Residential Roll off Dumpster Rentals - Construction Dumpster Rentals - Bulk Trash Dumpster Rentals - Garage Clear Out Dumpster Rentals - Landscaping Waste Dumpster Rentals - Commercial Dumpster Rentals - Roll off Dumpsters - Dumpster Bins for any job! Looking for Dumpster Rental Prices Clearwater or St Petersburg? FILL OUT THIS FORM AND RECEIVE AN EXTRA $10 OFF! for all projects in St Pete / Clearwater! For many contractors, construction dumpster rentals help keep their construction and remodeling projects clean and running smoothly. We offer flexible dumpster and roll-off sizes for every project. We'll deliver your dumpster when you need it, place it safely and precisely where you need it, and remove it without delay when you're done. Whether you’re landscaping, renovating, cleaning or rebuilding your home, we offer a variety of sizes to make your waste removal needs easy and simple. We will drop off the dumpster at your curbside - same day availability - and pick up the roll off dumpster once your home project is completed. Looking for Cheap Dumpster Rental Prices in St Pete / Clearwater? Subpages (3): Proud to Serve St Petersburg, Clearwater & Surrounding Areas! Welcome! Rent a Dumpster, we are here for your Dumpster Rental needs in St Petersburg! Welcome! Serving Clearwater FL for your Dumpster Rental needs!